We service all areas & any scaled operation as well as ensuring after every project that the client is satisfied with our work. White Knight Paints has been a leading force in the Australian speciality paint market for many years - catering for both the professional and do-it-yourself consumer. By consistently investing in new technology, listening to customers and developing market leading products the White Knight brand has built its reputation on quality, innovation and service. 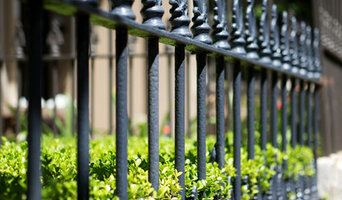 DESIGN - STYLE - ELEGANCE Images Designer Finishes is a successful Sydney based business that has quickly earned the reputation as a industry leader in specialised quality surface finishes. It is the combination of special application techniques and an innovative product choice which creates a finish which closely resembles original architectures. We create custom finishes for walls, windows and ceilings. In fact, we can transform any surface with custom designs, patterns and textures. Specialising in office and residential renovations. White Acme is a painting company operating in Sydney region. It was established in 2004 and since then has been delivering all the best to our customers. White Acme works also closely with many tradesmen. We mix good quality with experience and deliver the best possible results and solutions, thus many development institutions have chosen us as their partners. Hi there! I’m Jonny Gloss, a painter, decorator and artist. 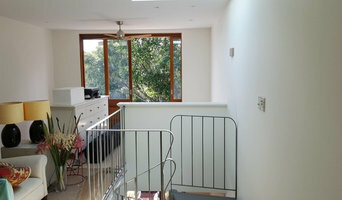 I have now been painting and decorating for more than fifteen years servicing Sydney Metro – Inner West, Eastern suburbs and Northern Beaches Following broad travel and working experiences across Asia, Africa and across Australia, I settled in Sydney and began to apply my skills in people’s houses. My business Fresh Paint Sydney is small, up to three staff working on a project at one time. My art and sculpture is exhibited on www.jonnygloss.com. I have a showroom of my painting and decorating (and also of my art and custom made furniture) located in Camperdown NSW 2050. Please contact me to view it or to organise an obligation free quote for your needs: 0402 456 050. 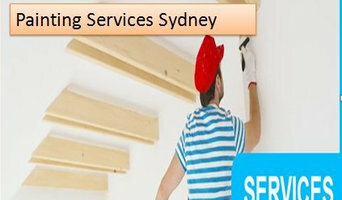 The best quality & service for domestic, commercial and strata painting throughout sydney. Call today for an obligation FREE QUOTE! At Painting All Sorts we are professional licensed and qualified painters who are reliable and provide high quality painting services. We are not only qualified and experienced in painting and decorating but commercial, industrial and insurance painting. No job is too big or too small! Finishing touches leave lasting impressions Our extensive range of eye-catching treatments are the first and last word in quality finishes. Explore a brave new world of inspirations, textures and possibilities in this. Take a look. Marchant and Sons is one of the leading painting contractors in Sydney. We are dedicated to provide the best possible painting services to commercial and residential contractors. When it comes to renovations, new constructions, alterations, strata, refurbishments, let our commercial and domestic division take care of you. Also if you need a building maintenance or insurance repairs we will quote and finish with no hassle or worries. Marchant & Sons prides itself on actively promoting environmental awareness and procedures. All our painters are qualified and up to date on the EPA guidelines with on-site and off-site treatments areas. All painters are regularly checked to make sure they follow these guidelines. You should hire us because we provide dedicated interior and exterior painting services to our clients. 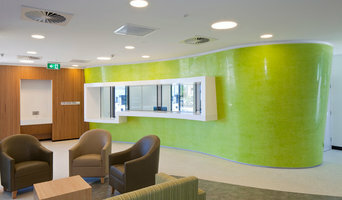 We are expert Sydney painters who are focused on personalisation and customisation. We pay great attention to detail and every job is completed to perfection. Colourfullife Painting services based in Sydney. We deliver first class painting to our customers for over 10 years. Our tradesmans are fully licensed and insured. Our company provides quality interior and exterior painting work all around Sydney. All our work is guaranteed. You can have peace of mind with us. The expert team at Moni Painting & Maintenance has over 40 years of experience. We specialise in superior quality commercial, residential and industrial painting. Over the years we have developed a strong passion for uncompromised, superior quality workmanship. Operating across Sydney, we have in-depth knowledge of all local areas, particularly in Sydney’s south-west suburbs. Attention to detail and thorough preparation are our key strengths. We pride ourselves on delivering quality results in a professional, reliable, honest and cost effective manner. Each project we undertake is customised to deliver on the needs and objectives of our clients and we only the best quality materials and paints. Our core principals and our mission have always been to deliver 100% customer satisfaction, 100% of the time. To this end, our team is professional, punctual, clean, delivering professional results on time and on budget, every time.